The damage or loss of multiple teeth can be traumatic, undermining your confidence in your appearance and making it difficult to perform everyday actions like eating and speaking. Indeed, poor oral health can leave patients feeling frustrated and isolated, but for the right candidate, a restorative dentist can perform a full mouth reconstruction to recapture that happy and healthy smile. During a consultation, your dentist will assess your individual situation and develop a treatment plan that is best for you. How Long Is the Full Mouth Reconstruction Process? Many patients want to know how long it will take to go through with a full mouth reconstruction process. This depends entirely on which procedures are being employed as part of the process. Relatively minor procedures like the placement of a dental crown or bridge can be achieved in just one or two dentist visits, while more complicated procedures like dental implants are completed over a series of months and several procedures. For example, dental implants start with oral surgery to implant titanium posts into the jawbone, a process that may itself be preceded by surgery to strengthen the jaw with bone grafts. It can take up to six months for the posts to heal and integrate with the bone, after which your dentist can permanently affix an abutment and a crown, or full or partial denture structure. A full mouth reconstruction is not a quick and simple process. To the contrary, it can involve multiple procedures and visits. This can cause anxiety for patients, making it difficult to see the process through from start to finish. But sedation dentistry can make full mouth reconstruction a more relaxed and pleasant experience. At the office of Dr. Porter, we offer several sedation dentistry options including local anesthesia, nitrous oxide gas, and oral sedation medication to ease patient apprehension. During your consultation, your dentist will be able to determine what type of sedation would be best to fit your needs. 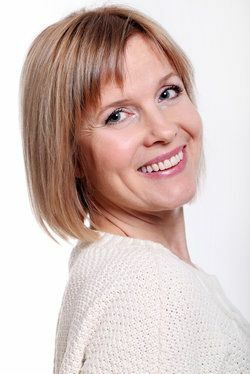 Everyone deserves a full and beautiful smile, and full mouth reconstruction can help you regain the smile you remember. If you are in need of multiple restorative dentistry procedures, don’t wait. Contact Dr. Charles Porter III, DDS, to schedule a consultation and learn more about your options for full mouth reconstruction today.